Lake Garda is the bigger Italian lake, with an area of approximately 370 km ². It is situated between Lombardy (with the province of Brescia), Veneto (province of Verona) and Trentino-Alto Adig .. The best restaurants where you will taste the Italian kitchen and the typical taverns where you can discover the cookery of the Lake Como and the near valleys. The ritual of the conviviality is ..
To get married! Maybe in a splendid villa on the lake Garda? or in a characteristic restaurant where you can taste the local cookery? In this page, for those who wish to get married in the f ..
Services for the Lake Garda area, for individuals and small groups and company incentives and team building. 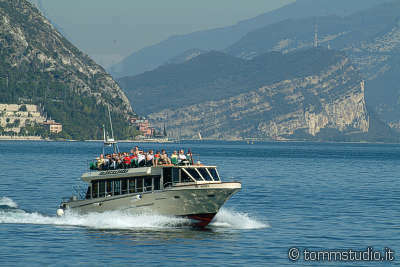 Tour operator offers you the opportunity to live and discover the Lake Garda area t ..